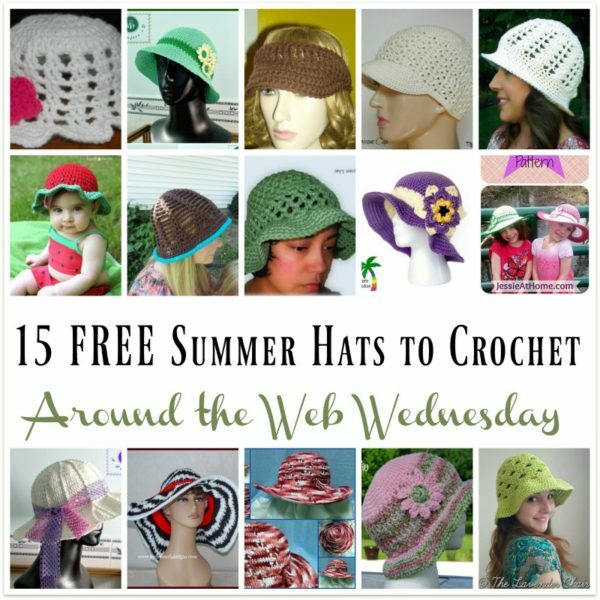 Welcome to the very first edition of Around the Web Wednesday. 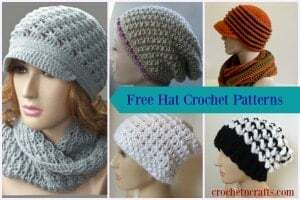 It’s a new series in which I’ll be sharing patterns, not just crochet patterns, but knitting and crafting patterns as well. 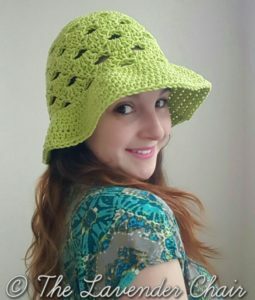 Since it’s summer, I decided to kick it off with some fun and styling summer hats to crochet! Hope you’ll enjoy!!! This is one of my favorite sun hats around the web. It’s got an elegant style that will go great with any summer dress. And the brim is wide enough to protect your entire face and neck. 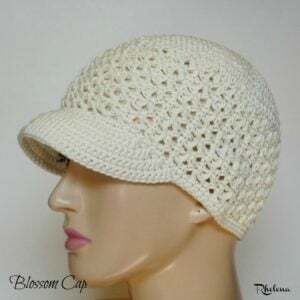 The blossom cap is my personal favorite here on CrochetN’Crafts. It has a bit of openess to allow your head to breathe while protecting your eyes with a solid brim. The pattern is available in one size only. Not only is this one perfect for keeping you cool, but it’s also a great way to add a bit of color into your summer fun-filled days. The pattern is available in two adult sizes. 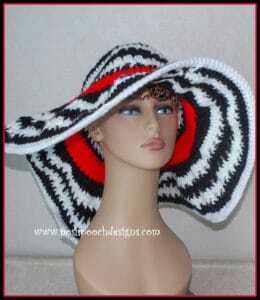 The zebra stripes with the red “ribbon” makes this one fun to wear with your favorite summer dress. And you have the option to make a stiff or a floppy brim. 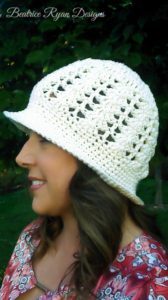 This elegant summer hat pattern is available in one size only to fit a 22″ head. 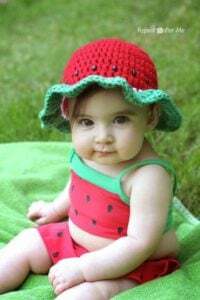 This open sun hat pattern is available in all sizes from baby to adult. It’s shown here in a solid color, but check the website for a few fun color ideas. This is one of my personal favorites around the web. I love the pretty “ribbon” and the flower. As for the brim it looks like the perfect size for protecting your entire face. Here is one you won’t want to miss. Although simple, it’s elegant and perfect for all your summer outings. 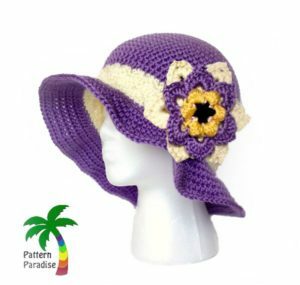 Available in all sizes from baby to adult, this fun summer hat pattern is perfect for the entire family. 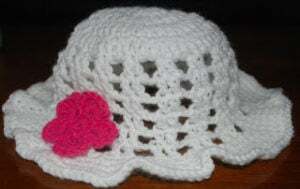 This pretty sun hat pattern is designed for infant girls. However, if you can figure out the stitch multiple, you might be able to increase the crown and whip this up in any size you like! 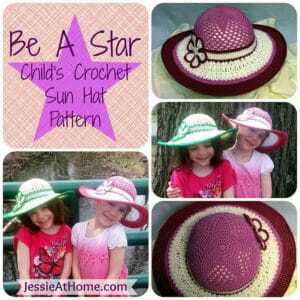 Named for the beautiful star at the top of the hat, this one is sure to be a hit with your young daughter. 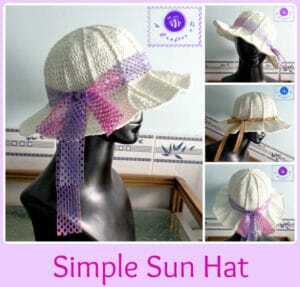 It’s elegant and perfect for protecting her face, ears, and shoulders from the hot sun. 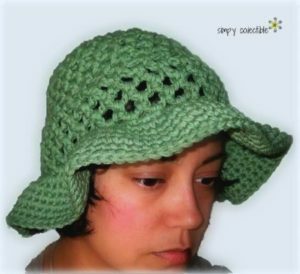 This hat is designed to keep the sun out while allowing your head to breathe. The pattern is available in one size for women. If you love shells, then this one is for you. It’s a simple pattern, but it gives you the style you’re looking for to go with every outfit. 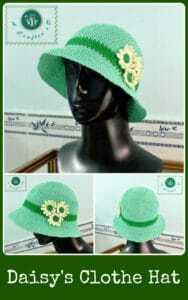 I love the green on green as shown here in this hat pattern. 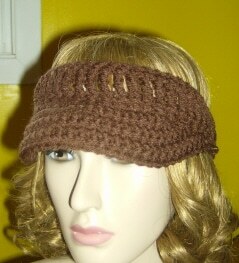 However, the design is easy to crochet in any two colors to match any or your favorite summer outfits. 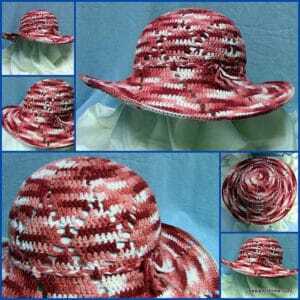 This visor was one of the first patterns to be published on this site. 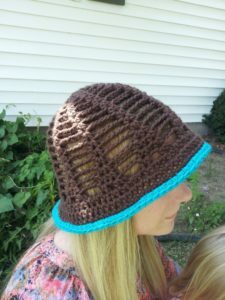 The visor is crocheted in acrylic yarn here, but for a much cooler visor, why not try a worsted weight cotton such as Bernat Handicrafter.